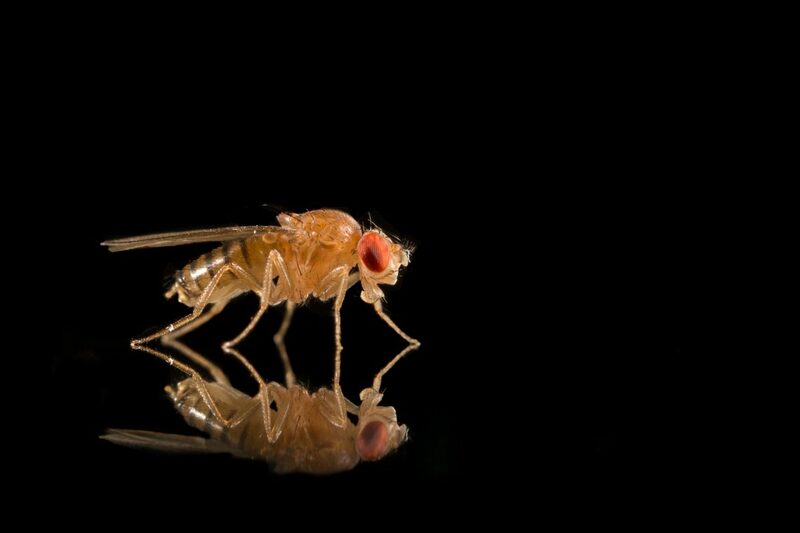 A Toulouse-led interdisciplinary research consortium shows that the fruit fly has all the cognitive capacities to culturally transmit their sexual preferences across generations, potentially leading to the emergence of long-lasting traditions in sexual preferences. On top of providing the first experimental toolbox to study animal cultures in any species, this study suggests that the cultural process likely participated to the evolution of a vastly broader spectrum of species and over periods much longer than ever envisioned. An abundant theoretical literature shows that cultural transmission can considerably change the evolutionary fate of populations. Although the cultural process is often considered to be unique to humans, the existence of persistent behavioral variation in primates and birds that are not reducible to genetic or ecological variation strongly suggests the existence of cultural transmission in animals. An interdisciplinary consortium of researchers from the laboratory Ecology & Biological Diversity (EDB) and the Research Center on Animal Cognition (CRCA) initiated thanks to a New Frontiers project of the LabEx TULIP dissected the mechanisms of cultural transmission to test the existence of cultural processes elsewhere than in primates and birds. The project was also funded by the ANR, a European Marie Curie PRESTIGE grant, an Idex Unity Transversality-grant, and the LabEx IAST of the University of Toulouse. The consortium proposed and applied to the fruit fly (Drosophila melanogaster) a definition of animal culture not focusing on patterns of behavioral variation but on the mechanisms of social transmission. The definition requires that the five criteria discussed in the literature on animal culture are verified. The first criterion is that the transmitted trait is learned socially, i.e. learned from conspecifics. The authors showed that following the observation of a Drosophila female (called demonstrator female) choosing between a male of type A and a male of type B for mating, an observer female then shows a preference for males of the type chosen previously. This form of social learning is called mate-copying and has been documented in mammals (including humans), birds and fish and only one invertebrate, the fruit fly. Starting from this remarkable capacity for a fly, researchers showed in a series of five experiments that social learning of sexual preferences fulfills all the criteria to claim that these preferences can be transmitted culturally across generations. Thus, sexual preferences of Drosophila females for a male type can be learned socially (criterion 1), are transmitted from older to younger individuals (criterion 2), memorized for a long time (criterion 3), in favor of any male of the same type (criterion 4), and in a conformist manner (criterion 5). 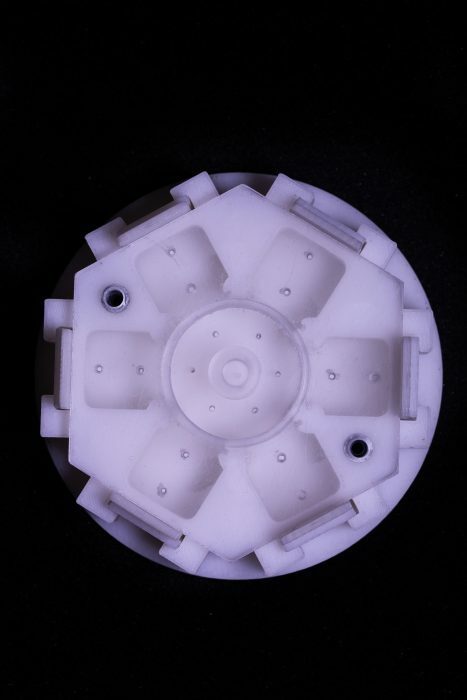 For this last criterion, the researchers invented a new device, the hexagon, with a central arena for the observer females surrounded by six peripheral compartments where six demonstrator females chose between two males each. After watching the 6 demonstrator females’ choice, the very surprising result was that observer females showed the same preference for males of the same type that had been chosen by the demonstrators, regardless of the majority level among the demonstrations (with the majority ranging from 100% to only 60%). In a sixth experiment, researchers performed a transmission chain in hexagons in which the six observers (pupil) of one step become the six demonstrators (teacher) of the next step, and so on. They found that traditions lasted far longer than expected by chance. The prediction of computer simulations mimicking such transmission chains in the conditions of the experimental chains produced results that closely matched those of the experimental chains. With this strong validation of their simulations, researchers explored the consequences of social learning in terms of their capacity to foster cultural traditions of preferring a given pale type at the scale of a group. They found that the documented characteristics of social learning in Drosophila can lead to the emergence of long-lasting cultural traditions along transmission chains potentially persisting over thousands of drosophila generations. These simulations also showed that conformity plays a key role in the emergence of such cultural traditions. Thus, the fruit fly has all the cognitive abilities that can lead to the emergence of persistent cultural traditions of preferring a given male type. These insects, who shared their last common ancestor with humans 700 million years ago, appear to have the ability to culturally transmit their sexual preferences across generations, which greatly broadens the taxonomic spectrum of the cultural process, suggesting that cultural heredity has affected the evolution of a very large number of animal species over extended periods of time. 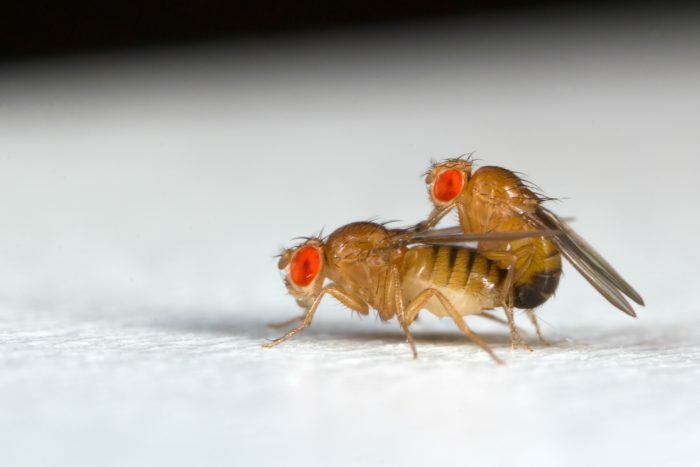 These findings are described in the article entitled Cultural flies: Conformist social learning in fruit flies predicts long-lasting mate-choice traditions, recently published in the journal Science. This work was conducted by Etienne Danchin, Sabine Nöbel, Anne-Cecile Dagaeff, Léa Demay, Mathilde Alphand, Sarah Ranty-Roby, Magdalena Monier, Mélanie Allain, and Guillaume Isabel from the Université de Toulouse, Arnaud Pocheville from the University of Sydney, Lara van Renssen from the Université de Toulouse and University of Groningen, and Eva Gazagne from the University of Liège. Étienne Danchin, Sabine Nöbel, Arnaud Pocheville, Anne-Cécile Dagaeff, Léa Demay, Mathilde Alphand, Sarah Ranty-Roby, Lara van Renssen, Magdalena Monier, éva Gazagne, Mélanie Allain et Guillaume Isabel. Cultural flies: conformist social learning in fruit flies predicts long-lasting mate-choice traditions. Science, 30 novembre 2018. DOI: 10.1126/science.aat1590. Etienne Danchin is the DRCE at the French National Centre for Scientific Research | CNRS · Evolution & Diversité Biologique (EDB) UMR 5174. Sabine Nöbel is a research fellow at the Institute for Advanced Study., Toulouse. Her background is in the behavioural ecology of Poeciliids and Drosophila studying the non-genetic inheritance of mating preferences using mate-copying, by which females build mating preferences by observing and copying conspecific females’ mate-choice. She studies how new, socially learnt mating preferences can invade a population and persist across generations. Guillaume Isabel is a lectutrer at Paul Sabatier University - Toulouse III | UPS Toulouse · Centre de Recherches sur la Cognition Animale - UMR 5169 - CRCA.